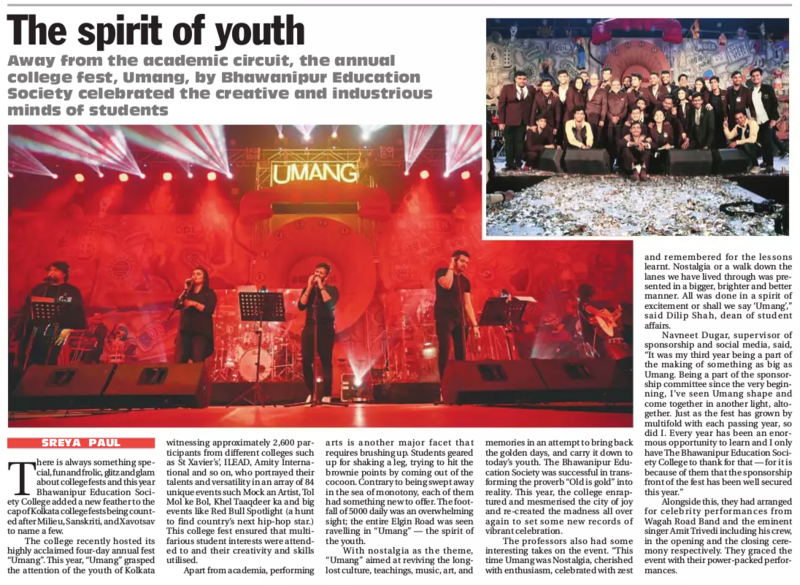 The Spirit Of Youth: Statesman Coverage of Umang 2018-19. 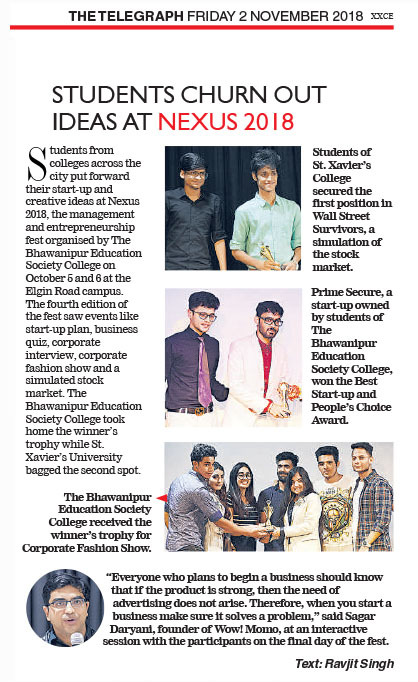 The Telegraph’s coverage of NEXUS 2018, a management and entrepreneurship fest organised by the students of BESC. 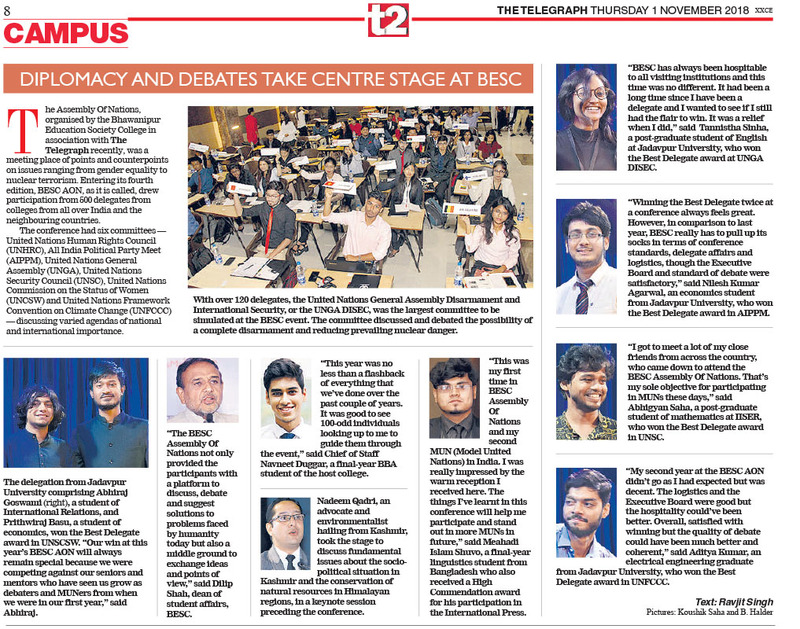 Diplomacy and debates take centre stage at BESC. 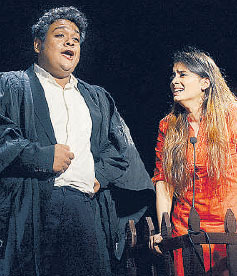 T2 Review Of the play: The Night Of January 16th by the students of BESC. 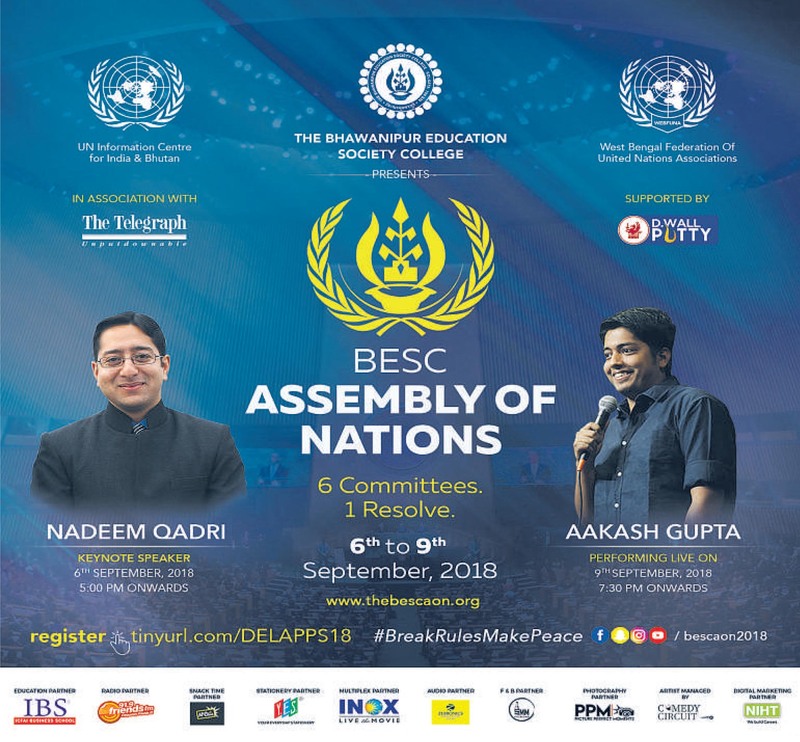 BESC Convocation Ceremony, 2018 covered by Cal Time. 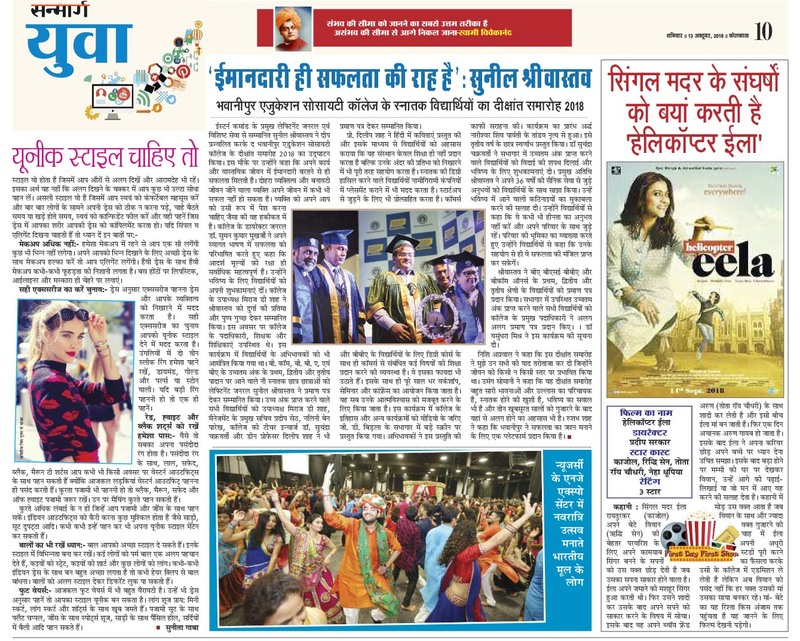 BESC Convocation Ceremony 2018 covered by Sanmarg. BESC AON advertisement in The Telegraph, Metro. Times Knowlege Icon, Kolkata a2018. 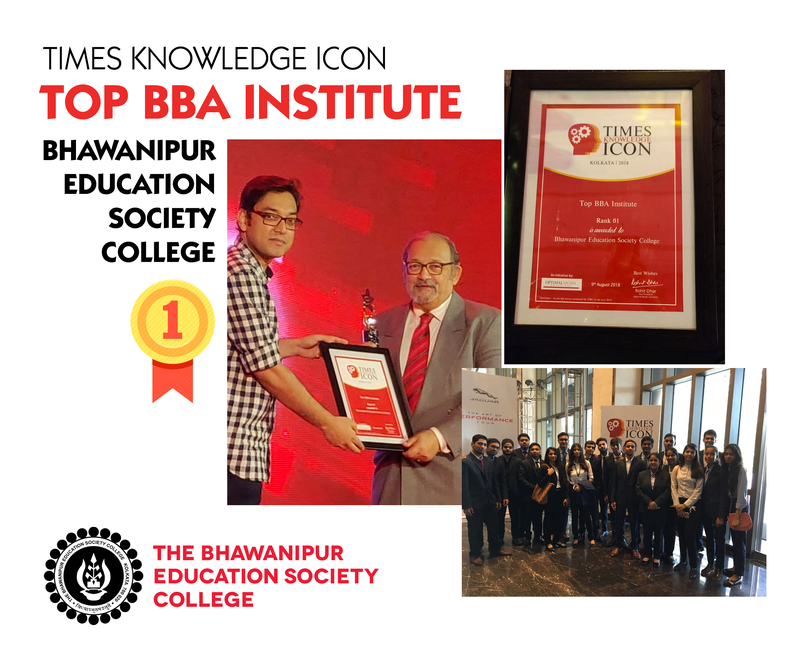 Times Knowledge Icon Ranks The Bhawanipur Education Society College as the top most institute in Calcutta. Covered on Calcutta Times, 14th August. 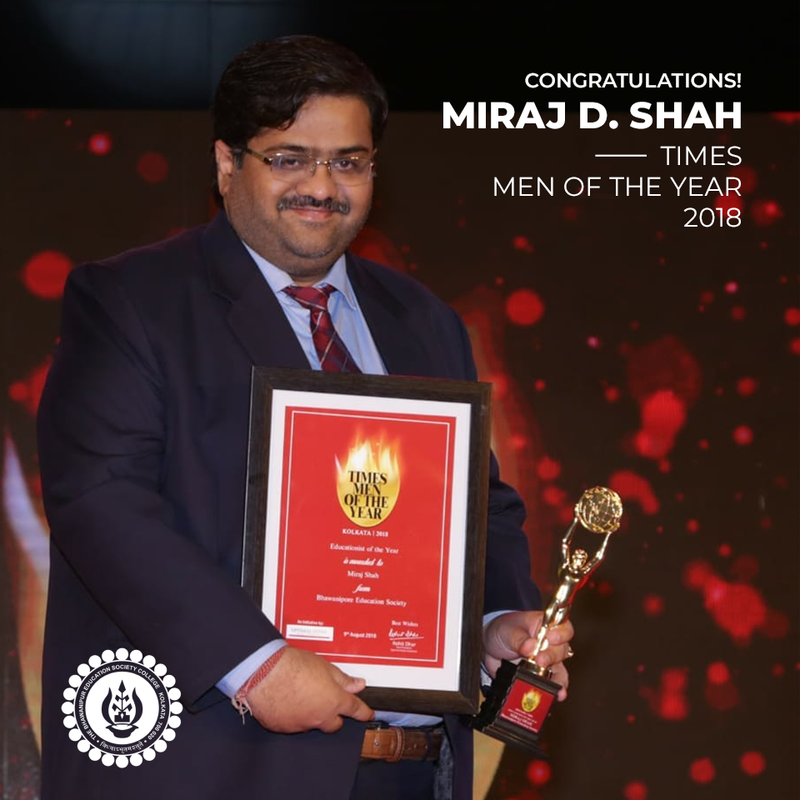 Time Knowledge Icon: Educationist of the Year award presented to our Vice Chairman Mr. Miraj D Shah. 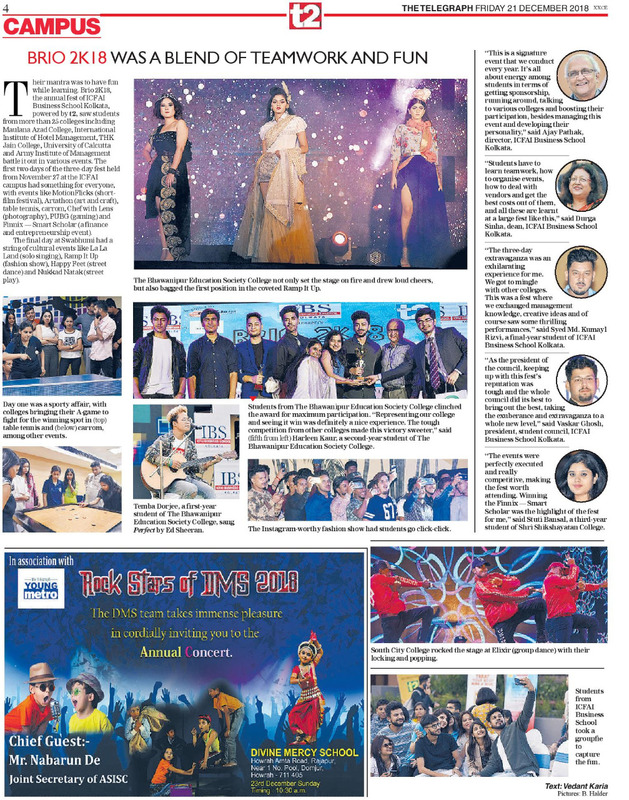 Coverage in Calcutta Times, 13th August18.